Eight months ago, I wrote an article with some comicbook recommendations. They were all in a "smart/science" theme but the biggest advantage of comicbooks is that they can be about any subject and presented in any manner. Its the magic of combining the written and visual mediums with the malleability of theme, setting, story, and characters. When a good writer and a good artist find a good vibe on a good book, it won't matter if its from an indie publisher or a huge conglomerate. It won't matter if its an obscure genre or classic trope. It just clicks. 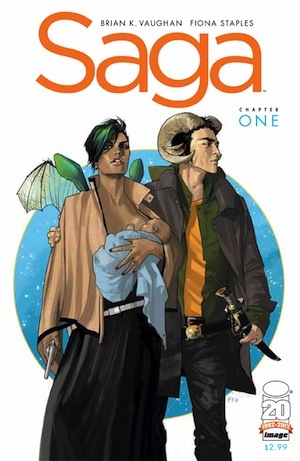 Saga is written by Brian K. Vaughan and drawn by Fiona Staples. Its a science fiction fantasy story bursting with clever world building and stunning visuals, but its the characters that will grab and hold onto to you. Despite wings and horns and magic and ray-guns and ghosts, this couple on the run feels so much richer and realer than most anything else on the shelf. They are well crafted loving people with flaws, wants, fears, and troubles. So many troubles. All this, and a talking cat! 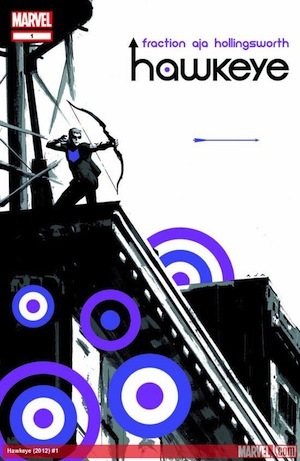 Hawkeye is written by Matt Fraction and drawn by David Aja. It takes the character mostly recently featured in the blockbuster Avengers movie and focuses on what he does when he's not busy being super-heroic. Who is Hawkeye when he's not being Hawkeye, when he's trying to be a regular? Turns out he's actually pretty terrible at being a regular person, and it makes for great reading. And thanks to Aja's clever layouts and minimalistic art, its also visually incredible. 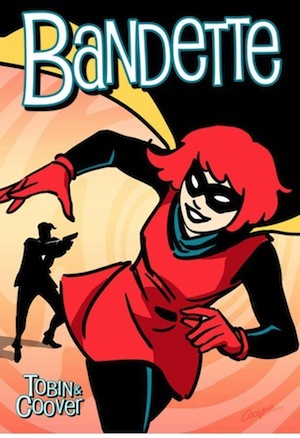 Bandette is written by Paul Tobin and drawn by Colleen Coover that is described as "treading a thin line between Tintin and Nancy Drew, with a few costumes thrown in". Its a world that shuns the grim and serious world many comics embrace for a world of color, fun, and adventure. The main character especially is less a person you want to be as a person you want to be friends with, and would love to be friends with you. It's a fantastic, light-hearted read, perfect for any age. It does a great job of being amazingly charming without being overly cute. And thanks to Monkeybrain's digital-format-first mission, each issue costs a mere 99¢! 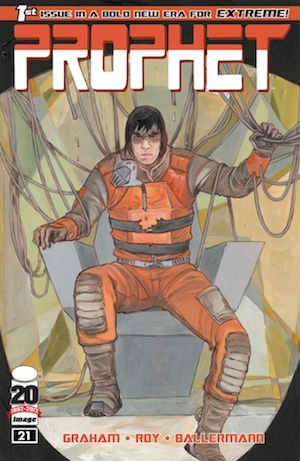 Prophet is written by Brandon Graham and drawn by Simon Roy. It takes an uninteresting 1990s character, picks at the more interesting ideas in a broadly banal concept, and tosses it all in a high-concept far-future yarn. It has that anything-can-happen feel of ratty seventies science-fiction paperbacks that everyone remembers fondly. It starts fairly spread out, with a long-form anthology feel, but rewards the reader with divergent storylines that being to inexorably draw together. It can feel slow while feeling fast, it can feel strange while hauntingly familiar, but importantly, it feels fantastically fresh against other comicbook offerings.